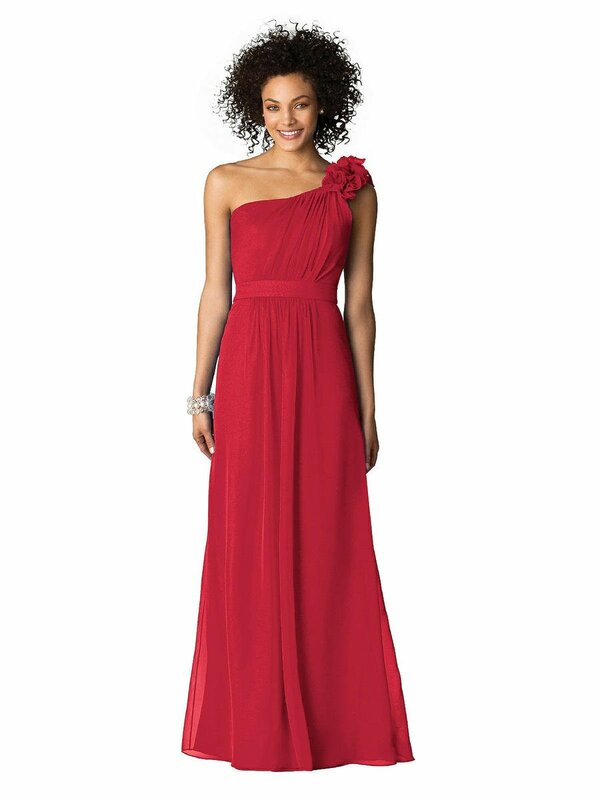 Full length one shoulder lux chiffon dress with shirred bodice and flower detail at shoulder. Matching 1.5" lux chiffon over lining belt at natural waist. Sizes available: 00-30W, and 00-30W Extra Length.